Vikhroli is a thriving metropolitan suburb located in the northeast part of Mumbai. It is a peaceful and quiescent place with many residential areas within the neighbourhood. Today, it is a close knit community with many colonies and exquisite residential plotsi. As with the majority of Mumbai suburbs, Vikhroli is undergoing drastic developmental changes and improvements. Known for its reasonably priced and undeniably fresh produce, Tagore Nagar in Vikhroli is an emerging locality and has caught the attention of several big names in the building industry already. The developments in areas such as Tagore Nagar and Kannamwar Nagar – which is the largest residential colony in Asia – are now being upgraded to multi-storied buildings with exceptional amenities. Godrej has taken the district under its wing and promise rapid growth in the coming years. Apart from Tagore Nagar, Parksite is also a suburb in Vikhroli that is well-known for its diverse and cohesive residents. If you’re wondering whether Vikhroli is just a concrete jungle, the many playgrounds and gardens, along with the importance given to greenery in the district will prove you wrong. Vikhroli’s strategic location enables excellent connectivity to the rest of Mumbai. It lies in close proximity to the Eastern Express Highway, which connects it to Thane, Dadar, Chembur and Vashi. Vikhroli West is well connected by L.B.S. and Bandra, Jogeshwari and other western suburbs. The JVLR connects the Eastern Highway to the Western Highway. The International Airport is located at 10 km and the Central Railway Station is only 1.4 km away; not to mention that a proposal for a bridge to be made over the Thane creek from Kannamwar Nagar to Kopar Khairane in Navi Mumbai is already in the works. This will connect Mumbai to Navi Mumbai, increasing the accessibility of the location further. Vikhroli is only 20 minutes away from the Kensington SEZ in Powai. The Andheri MIDC trial Estate is about 12 km and Andheri SEEPZ is 10.5 km via the JVLR. BEST buses offer good service here and many bus depots are located in Vikhroli. With such massive amounts of residential and commercial development in and around Vikhroli, it’s no surprise that it’s a hub of social and recreational activity. 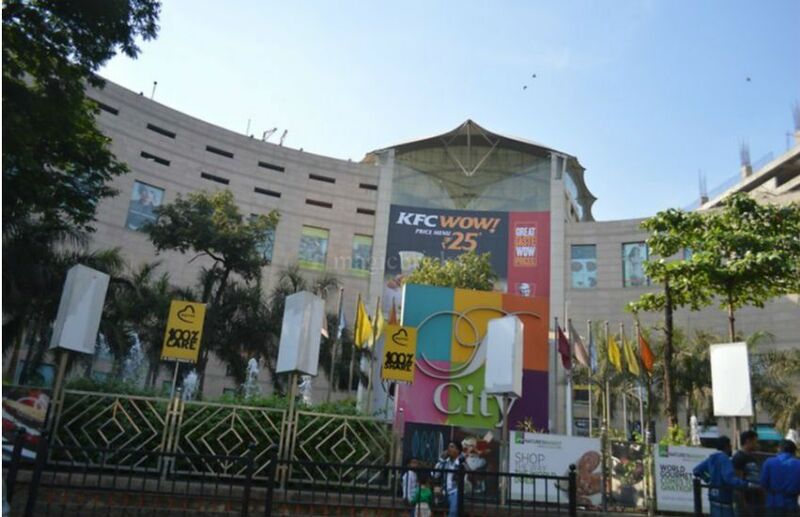 For those with an affinity for shopping, R-City Mall, D-Mart, Phoenix Market City mall, Home Depot and Magnet Mall are all located in Vikhroli. It’s also very close to Oberoi Mall, Atria Mall, Infinity Mall and Raghuleela Mall. Hiranandani Gardens (in Powai) also lies within 5 kms distance of the location. For fun nights out and outstanding dinner experiences, there are several popular food joints in Vikhrolil, such as Timbuktoo, Pop Tate’s, The Hill Green, Moksh and Shanghai Express. Convenience is the key here, as all popular banks and ATMs are littered all across the district. Educational institutions in Vikhroli include St. Joseph High School, Udayachal High School, Veekays English High School, Shree Siddhi Vinayagar English High, Sandesh School and Junior College, Vikas School and Night College, Asmita College of Law, Ramniranjan Jhunjhunwala College and many more. The average price value of real estate in Vikhroli as of March 2017 is Rs. 19,117 per square foot. There is no room for complaints in the area when it comes to medical facilities. Vikhroli is also home to some of the most exceptional hospitals, such as Godrej Memorial Hospital, Yashwant Hospital, Laxmi Health Care Center, Sushrusha Hospital and Maternity Center, and Dr. Babasaheb Ambedkar Hospital. If you’re looking for a new peaceful home that is well-connected to the rest of Mumbai, make your way to Vikhroli.